marzipan figure man, a photo by CAKE Amsterdam - Cakes by ZOBOT on Flickr. 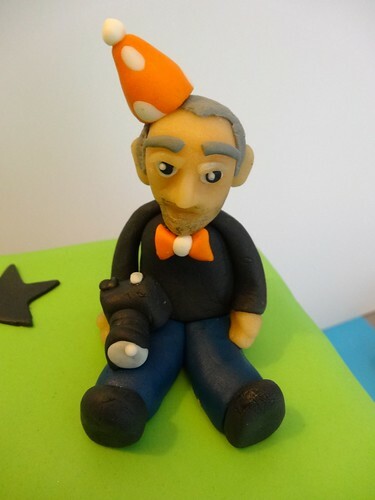 Over a year ago a young woman came and interviewed me for an article for the online webzine Overdose... this cake she ordered for her father in law Doug who was turning 60! Doug is a comedian, a photographer and an avid reader (the cake was shaped like a book).